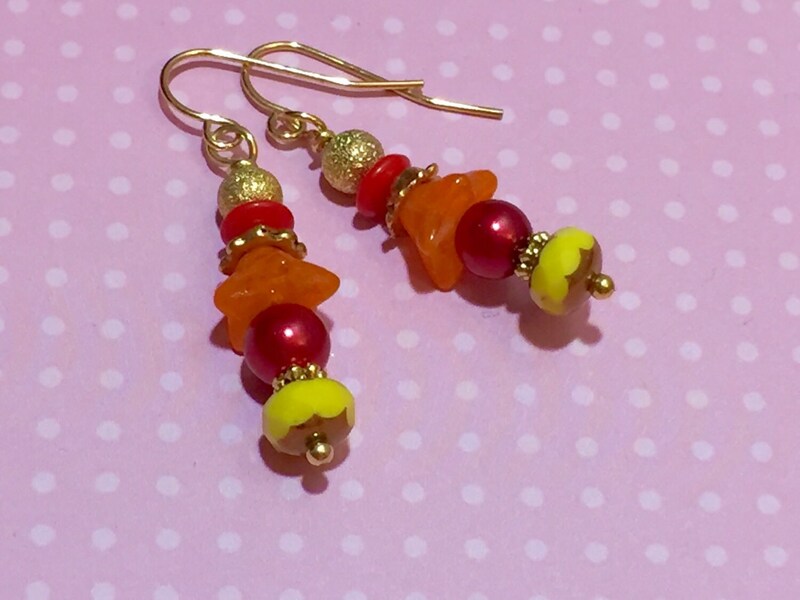 These earrings are so quirky! 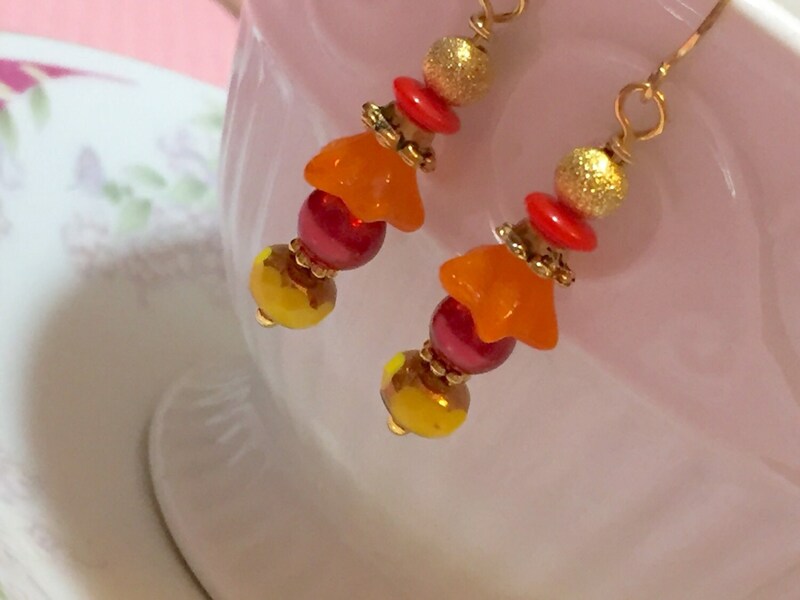 I was thinking of the vibrant fall colored leaves on the trees in the autumn months - a fiery range of orange, red, and yellow. 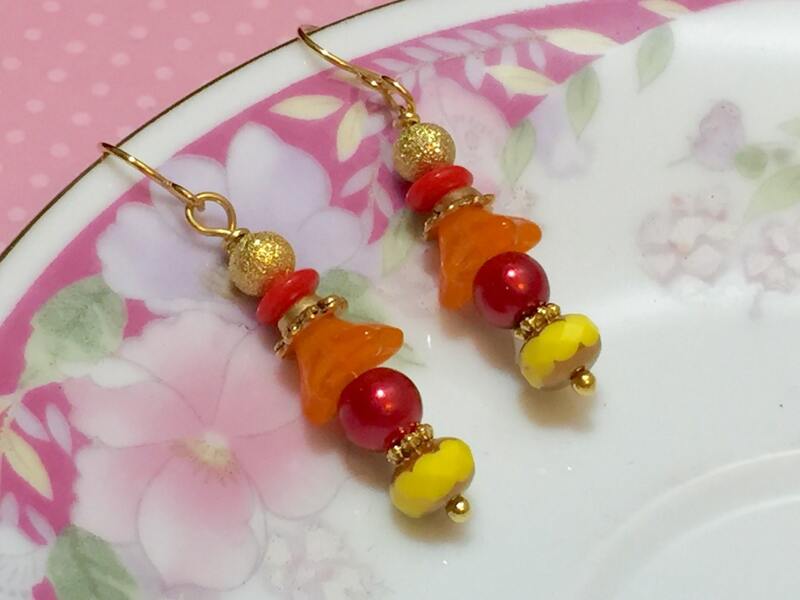 I made these earrings with gold metal beads, red czech glass disc beads, gold toned Tibetan findings, orange czech glass flower beads, gold findings, red glass pearl beads, and yellow czech glass beads with coppery picasso. 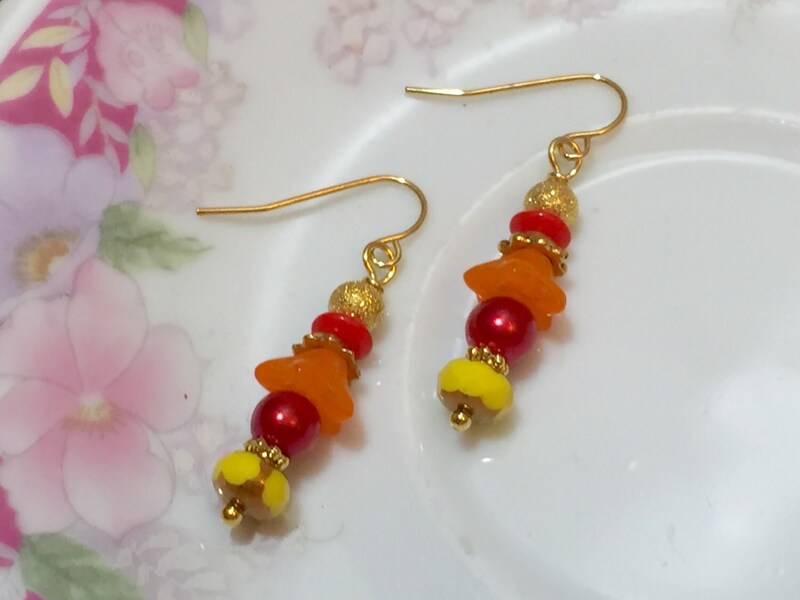 The ear wires are gold toned surgical steel. 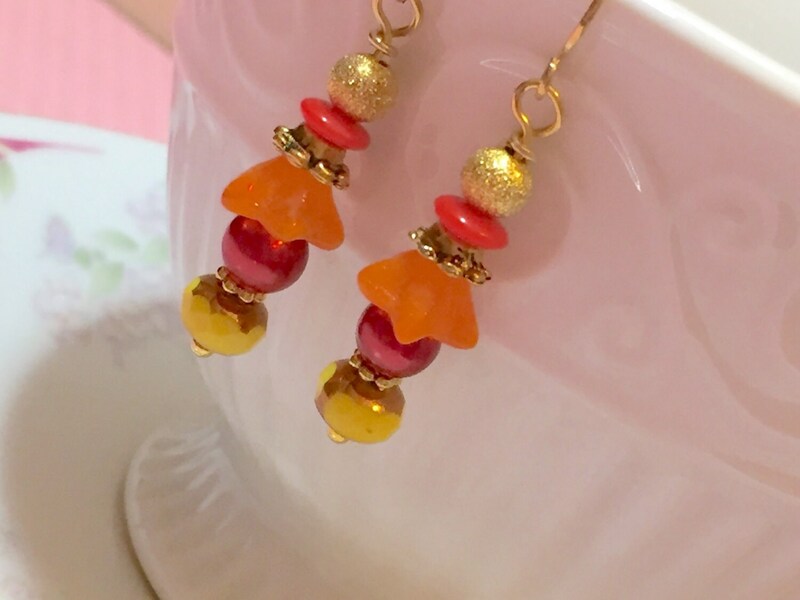 You are purchasing the earrings photographed measuring about 1 5/8 inches (4.1cm) from the top of the ear wire to the bottom.